Resolve your HVAC problems the right way. Founded in 1997, Arctic Mechanical offers comprehensive HVAC services in Westchester and Fairfield Counties. Our services include heating, ventilation, and air conditioning repair and installation. Due to our highly trained and professional staff of 27 employees, we are able to handle a wide variety of commercial and residential HVAC projects. The primary goal of our company is to exceed each customer's expectations. Not only do we provide exceptional heating and air conditioning services, but we establish strong, long-lasting business relationships with our customers by promoting the integrity of our people. You can always expect quality work and an outstanding customer experience. Rest assured, you will receive top-notch communication throughout the entire process. From the first time, you contact us until well after our job is complete, you’ll feel confident in our ability to deliver what we promise. Our dedication to ethical business practices powers each customer interaction. Arctic Mechanical is a company well known in the community for its exceptional service, integrity, and the understanding of our customer's needs. Furthermore, it is our goal to keep our employees trained, safe, and compensated fairly for their loyalty and hard work. Contact us if your heating or AC unit is having problems. We proudly serve residential and commercial clients throughout Westchester and Fairfield Counties. Artic Mechanical has proven to me that they are a reliable and trust worthy business, When the time had come for me to replace our gas furnace and central air unit, I solicited 4 local establishments. Artic Mechanical's team covered all their products and what was best for our needs, I did thank the other submitter's for their proposals. Owning a home for 44 years has given me an insight as to what is right, I am truly happy with Artic Mechanical. Their work was tidy, fast, professional, and Ed was friendly to work with. I trust his skill in installing our new water heater and do not hesitate to have him in my home again! Thank you! Great unit - works like a charm! Crew super easy to work with and on time! We loved the service from arctic mechanical. Meticulous work,very professional,extremely courteous service people. Just completed our new heating and a/c system. Highly recommend this company! I had a great experience with a central air and furnace replacement that was completed for me in June. They were quick at coming out and doing an estimate, providing a quote in a timely fashion and I had my new unit shortly after. Install only took one day, and the new unit works so much better than my old one! Also, they had great pricing. We did a ton of research and got 4 quotes from area services, and found their quote to be the most reasonable! Would highly recommend. First experience with this company and it was great! They were early to the appointment, our serviceman, Tim was courteous, completely knowledgeable, thorough, and helpful. He gave us honest opinions about what he thought was our best course of action. We intend to continue using this company. Arctic is great company. I use them all the time. Personally and professionally. I always feel I'm getting a great price and the job is always done right!!! Thnx guys!!! We’ve been doing a lot of renovation on our house in the past year (from insulation to lighting, new bathroom to new siding, gutters & roof) and Arctic’s installation of our new air conditioning & heating system has been the best of all the contractors we’ve worked with. Everything from Brian in sales to the fellows who set up the entire system has been top notch. Good communication (other contractors were terrible at letting me know when or even if they were going to be here on any particular day) and when they promised it would be done in three days, they were true to their word (again, other contractors who said three weeks turned into three months). The Mitsubishi Zone Systems are great. A little bit more expensive than other systems but I don’t believe this is something where one looks to cut corners. We’ve been doing a lot of renovation on our house in the past year (from insulation to lighting, new bathroom to new siding, gutters & roof) and Arctic’s installation of our new air conditioning & heating system has been the best of all the contractors we’ve worked with. Everything from Brian in sales to the fellows who set up the entire system has been top notch. Good communication (other contractors were terrible at letting me know when or even if they were going to be here on any particular day) and when they promised it would be done in three days, they were true to their word (again, other contractors who said three weeks turned into three months). The Mitsubishi Zone Systems are great. A little bit more expensive than other systems but I don’t believe this is something where one looks to cut corners. I have had several issues in my home that no one can resolve I went tru 4 different companies amhac. Innovative air. Nuway. And encon. They all cannot resolve told me to buy a new system but my system is only 6 yrs old so I gave one last chance and called ARCTIC MECHANICAL. Spoke to a nice lady in the office. They send a tech name TONY ROJAS He was here for about 30 minutes saw the issue and told me no problem I can fix this easily. He order some parts needed. He came back replace them. Is now been 3 weeks since he was here. And this system has never worked this good I’m so happy it was fixed. ARCTIC seriously has really good techs thanks TONY. I will let everyone know about this great company. Your name will travel tru moms of Pelham and Bronxville. I have had several issues in my home that no one can resolve I went tru 4 different companies amhac. Innovative air. Nuway. And encon. They all cannot resolve told me to buy a new system but my system is only 6 yrs old so I gave one last chance and called ARCTIC MECHANICAL. Spoke to a nice lady in the office. They send a tech name TONY ROJAS He was here for about 30 minutes saw the issue and told me no problem I can fix this easily. He order some parts needed. He came back replace them. Is now been 3 weeks since he was here. And this system has never worked this good I’m so happy it was fixed. ARCTIC seriously has really good techs thanks TONY. I will let everyone know about this great company. Your name will travel tru moms of Pelham and Bronxville. 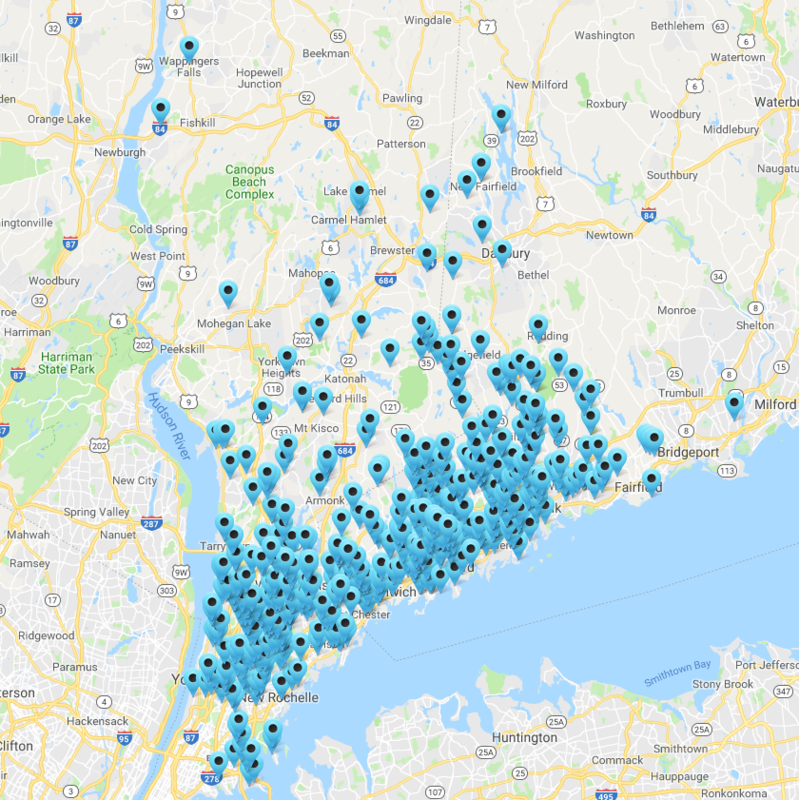 We began using Artic this year for the maintenance of the heating and cooling systems in our home after being dissatisfied with other Westchester companies. Jeff in the office and Brian in the field are honest and follow through with the promises they make which is unfortunately not so common in their industry. We decided to install a mini-split for the first floor and every company we talked to suggested at least 2 and perhaps 3 units. Brian suggested we start with just one unit rather than spend more money unnecessarily. So far, his suggestion has been correct.